U.S. employers announced plans to trim headcount by 41,186 last month, according to a report Thursday from global outplacement consultancy Challenger, Gray & Christmas Inc. That was a 61% decline from the staggering 105,696 layoffs in July. The July tally was the highest since September 2011, when monthly job cuts hit 115,730. While the month over month figure was a marked improvement, the August count was 2.9% higher than the same month a year earlier. That's when 40,010 pink slips were handed out. The August amount also marked the seventh month this year (out of eight) that the layoff total was higher than the comparable month in 2014. Year to date, employers have announced 434,554 job cuts. 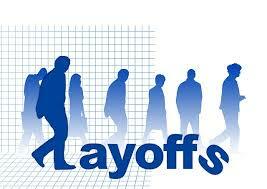 That's a hefty 31% increase from the 332,931 planned layoffs in the first eight months of 2014. With 2015 monthly totals averaging 54,319, U.S. job layoffs are on pace to surpass 650,000 for the year. That would be the highest year-end tally since 2009 (1,272,030). The retail sector was hit hard job in August, with 9,601 planned layoffs reported during the month. Most of those were related to the bankruptcy of east coast supermarket chain A&P. The grocery retailer is shuttering more than 100 stores and laying off a reported 8,500 workers by Thanksgiving. The retail sector has announced 57,363 job cuts so far in 2015. That's a whopping 90% increase over the 30,109 job cuts announced by this point in 2014. "Going forward, the recent volatility in the stock market may have a negative impact on retail sales, as investors who took a hit curtail spending," Challenger said in a statement. "However, retailers may be reluctant to shed too many workers as we head into the holiday season. Overall, we have not seen any job cuts attributed to the stock market's swoon. We are more likely to see cuts resulting from the underlying cause of the volatility, which is the weakening economy in China and other developing nations." Layoffs in the oil patch appear to have abated. In the first four months of 2015, the United States saw more than 68,000 job cuts in the sector. Since May, however, fewer than 14,000 layoffs have been attributed to oil prices. Since January, the oil industry has slashed 71,628 jobs. That's up from 8,052 during the same timeframe last year. "It is too soon to say if we have seen the last of the big oil cuts," Challenger said. "As we head into the final months of 2015, there are definitely some red flags that suggest we may see more layoffs from the energy sector, as well as in other areas of the economy. The problems that China is facing could send shockwaves throughout the global economy, including the United States." Here's a look at a dozen notable layoffs announced in August.